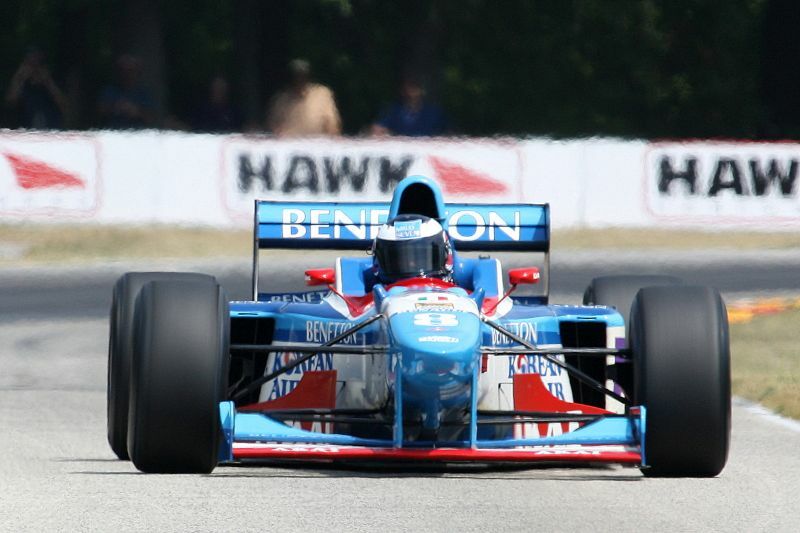 The Hawk at Road America with Brian Redman was held on July 12-15, 2012 at the famed 4-mile, 14-turn Road America road course in Elkhart Lake, Wisconsin. 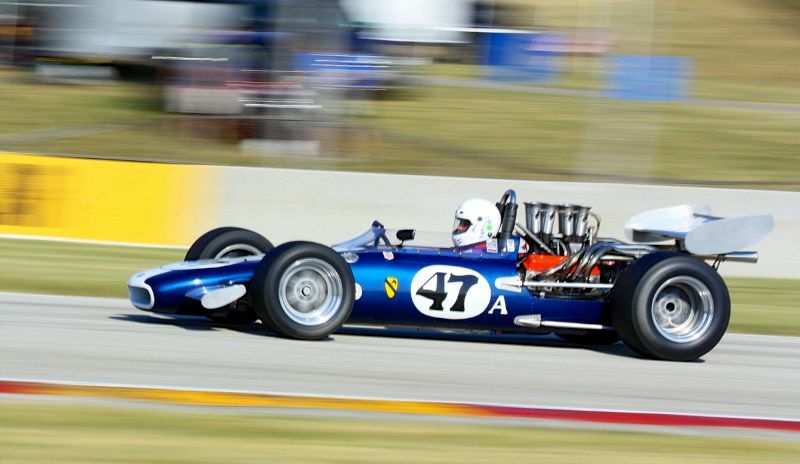 Formerly known as the Kohler International Challenge or KIC, the event was filled with 450 historic race cars competing in 10 groups. The weather was sunny, except for a brief shower on Friday afternoon, and like most of the country, hotter than normal. The featured car this year was the Lola T70, with 22 coupes and spyders showing up for the 2012 running. The feature race on Saturday was open only to the Lola T70 entrants. While only 11 cars took the green flag, it was a visual feast to watch these cars race. The race itself turned out to be one of the best of the weekend, with a three-car duel that was only settled in the last lap when Jim Pace passed Toby Bean coming out of turn 3 and went on to win by a margin of 0.22 seconds. (See Jim Pace’s in-car video). There were 10 races on Sunday, which provided as much entertainment as you could ask for, provided your body held up to the heat. In the Historic Can-Am race, Craig Bennett in a 1974 Shadow DN4 ran away and hid from the field until the last lap when he pulled off course, handing the win to Roger Williams in a 1972 McLaren M8E/F and second place to Toby Bean in a very pretty 1969 Lola T70 Coupe. It is most appropriate that Roger Williams hails from Auckland, New Zealand, hometown to Bruce McLaren. Group Nine, Post Historic F1, Indy, WSC/GTP, as expected had the fastest cars. James French in a 1997 Jordan F1 and Brian French in a 1997 Benetton B197 F1 dominated the field, both lapping at an average speed of 128 miles per hour, a full seven seconds per lap faster than the next car. The race was for Group 3, Vintage Sport and early A/B Production, finished with John Harden in a 1963 Huffaker Genie beating the 1965 Lola T70 of Marc Devis by less than a second. Perhaps more importantly for many spectators, this had a very interesting group of cars to watch. These included Lotus 19 and 23s, a Porsche 904, Porsche 910 and a Porsche 917. 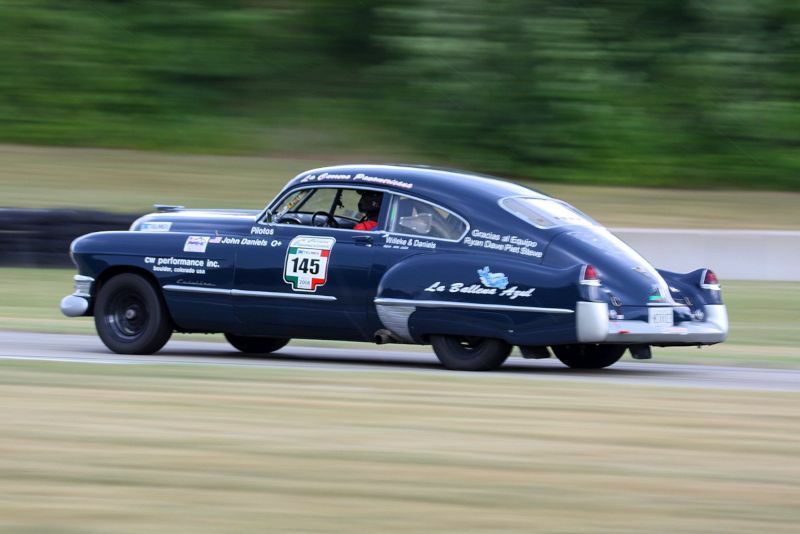 There were two Corvettes, a 1956 and ’60 alongside Elvas, Devins, GT40s, XKEs, two Cheetahs, a 1949 Cadillac in Carrera Panamericana colors and Tony De Lorenzo in the beautiful 1958 Scarab Mk I. Group Two, Vintage Production / pre-1972 Sedan/Sports Racer, had the slowest cars and the closest racing of the weekend. 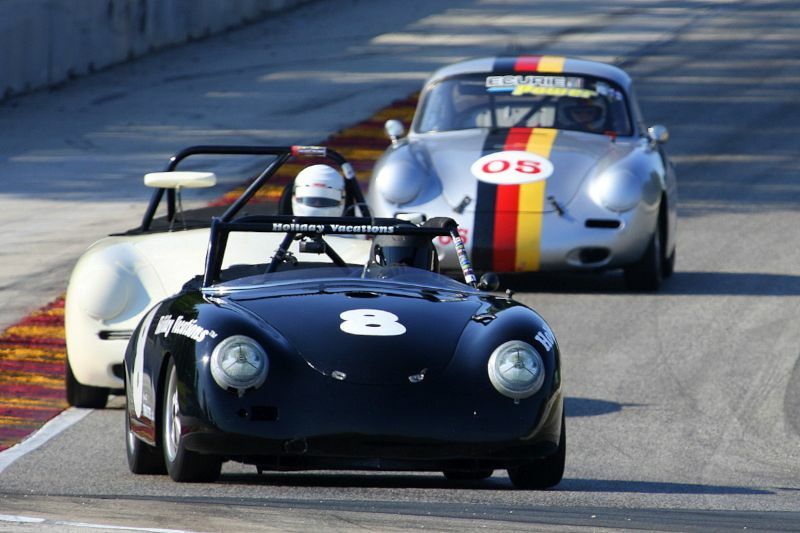 Brian Davis Russell pulled out a win after a race long fight with Paul Swanson in a 1958 Porsche 356 and Mike Besic in a 1969 Alfa Romeo Duetto. Three Porsche 356’s. Paul Swanson’s well driven and very quick Speedster finished first overall. The Historic Formula 5000 race for pre-1972 and post-1972 Lolas, McLarens, Eagles and McRaes saw the 1969 Gurney Eagle of Steve Davis finish atop the Class F5A podium, followed by Tony Adamowicz in his 1969 Gurney Eagle. 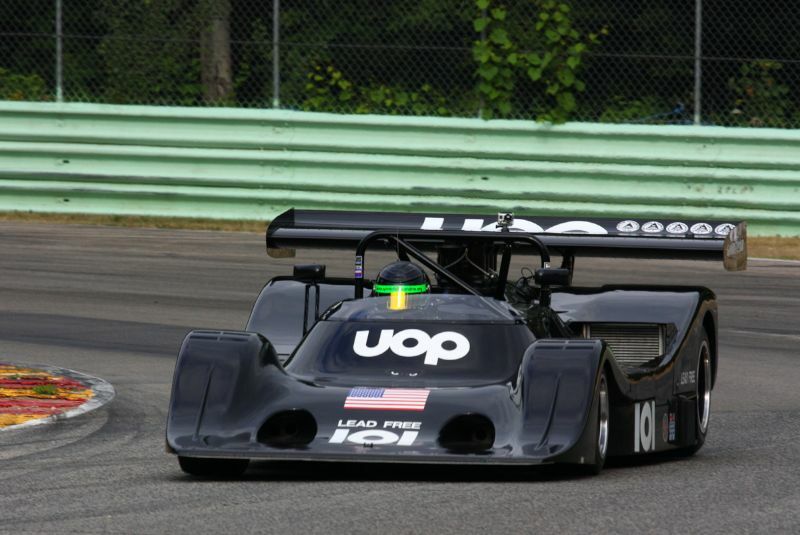 The post-1972 Class F5B was won by Rick Parsons in his Lola T332 that Brian Redman drove to victory in the 1976 F5000 Championship. 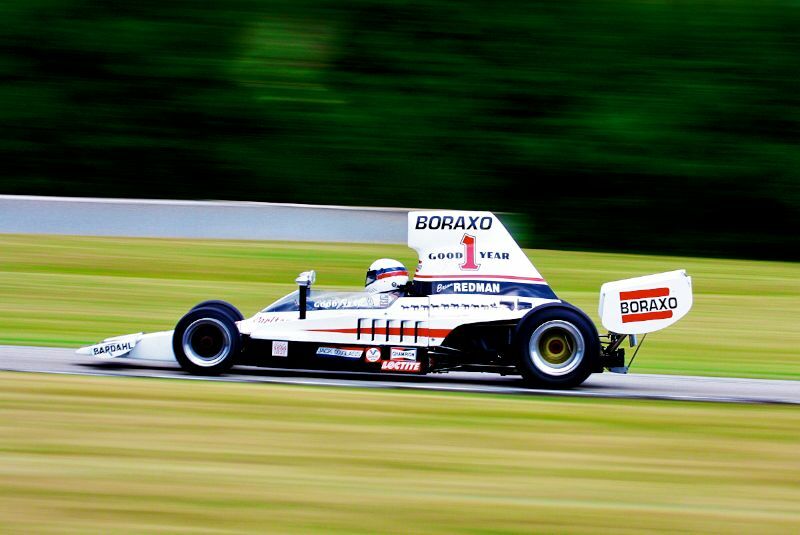 Rick Parsons’ 1976 Lola T332 won the 1976 Formula 5000 Championship at the hands of Brian Redman. When asked to comment on the event, Brian Redman said it was, “another fantastic event at Road America”. He also said he was very impressed with the organization of the event, commending them for dealing with 450 entries and over 60 track sessions without any major problems. The Hawk with Brian Redman at Road America 2012 turned out to be a great event. The number of and diversity of cars there was impressive, and as with all vintage events, the speed and sound are sensory delights. Our sense of taste and smell were also well treated, what with the track’s famous Brats, and that wonderful smell of Castrol oil. Nice story, and nice to meet you this weekend David. Thank you David for the story and the pictures WITH cometary, nice too see you did your homework (haha). It should be pointed out that the Scarab driven by Tony DeLorenzo and pictured above is the 25th Anniversary Scarab, now owned by Bob Sirna, and not one of the ‘real’ Scarabs. Further, just a pet peeve: There is no such thing as a ‘Gurney Eagle’. The cars are Eagles; never were named ‘Gurneys’. Same with the ‘Huffaker Genie’. Never carried the Huffaker name. Your comments are valid. 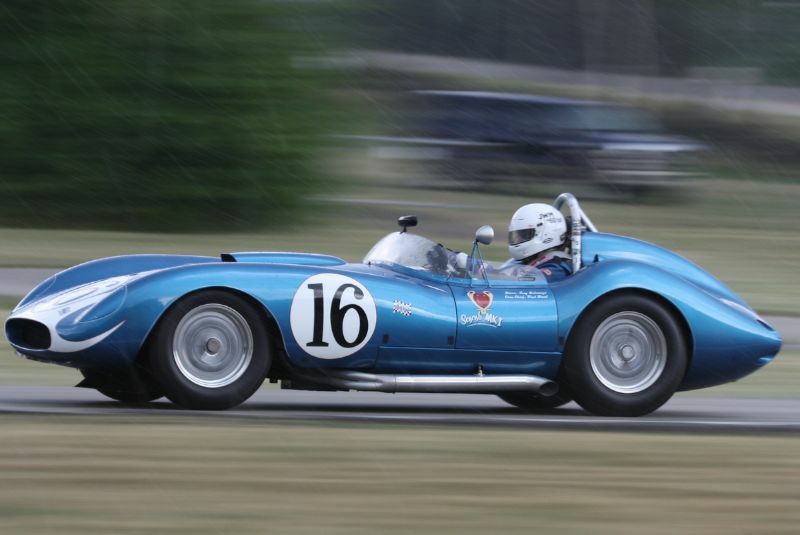 There are issues in vintage car racing on what is “real” and what is not. With over 400 entries, it is impossible to verify the pedigree of each car, so I use the information in the entry list. Your statement on the Eagles and Genie is true. But, again, I used the names on the entry list. I appreciate your comments and your interest in this story. of close racing through out the pack, not just at the front.